This handy glass utility mirror is surrounded by a reinforcing plastic body. It features both a stand and a hook so can be hung or stood up, making the product both durable and versatile. A great camping accessory. 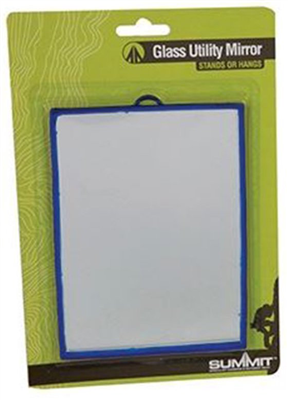 Really light mirror that takes up little space and will be just right size for camping.